Costa Rica is expanding its presence at the PMA’s Fresh Summit Expo next month after seeing increasing demand for its fruit and vegetable exports among North American consumers. Pedro Beirute, CEO of trade promotion agency Procomer said importers are sourcing higher volumes and a wider variety of products. This year’s Costa Rica Pavilion at the PMA Fresh Summit in Orlando will feature 11 exporters showcasing a variety of exportable products including pineapple, broccoli, melon, banana, carrots and yams. Costa Rica will also host approximately 30 US and Canadian buyers during its annual buyers trade mission from 27-30 September. According to Procomer, Costa Rica’s principal produce exports in 2015 were bananas (US$827m) and pineapples (US$804m), followed by yucca (US$69m), melons (US$67m) and watermelons (US$14m). 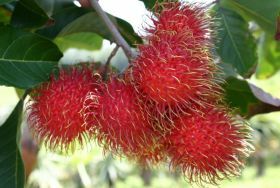 Beyond these well-known exports, Beirute said Costa Rica also offers many specialty items such as rambutans, peppers, pumpkins and other tropical products.